The U.S. sent the equivalent of 500,000 barrels per day to China in 20 shipments during the months of February, March and April, according to data from Genscape, the world’s largest vessel monitoring company. There was only one shipment from the U.S. to China last fall before the two that left in December. Those final two held an average shipment equivalent to 100,000 barrels a day, about one-fifth the size of the spring peak. Two ships, The Manifa and The Jag Lakshya, are estimated to arrive in China in the middle of February. Genscape can track their movement across the ocean using marine radar technology that shippers use to avoid running into each other on the open water. The journey from Texas to Asia takes about a month and a half, and ships often mark their destination as Singapore when they are really only refueling there before traveling another five days to China. According to the data for Manifa’s voyage, the vessel was partially loaded with 2 million barrels of crude at the Seaway Texas City, Texas, dock and finished loading at the Galveston Offshore Lightering Area (GOLA) on Dec. 31, 2018. The vessel is expected to arrive in China around Feb. 17, though is still marked as headed for Singapore, according to Amir Bornaee, a market analyst at Genscape. The other vessel, the Jag Lakshya, was loaded fully with 1 million barrels at Energy Transfer’s Nederland, Texas, dock on Dec. 16 with a final destination of Qingdao, China. It left Sinapore Feb. 3 headed to China, Genscape said. Stevenson tells CNBC that there are three additional vessels currently listing “Singapore” as their destinations, but that could later change to China. These ships are The Almi Atlas, the Farhah and the C. Freedom. The Almi Atlas was loaded with 2 million barrels at the Galveston offshore facility on Jan. 1 and is currently in the Indian Ocean. The Farhah was loaded with 2 million barrels at GOLA on Jan. 7 and rounded South Africa passing Capetown on Feb. 2 headed toward Asia. 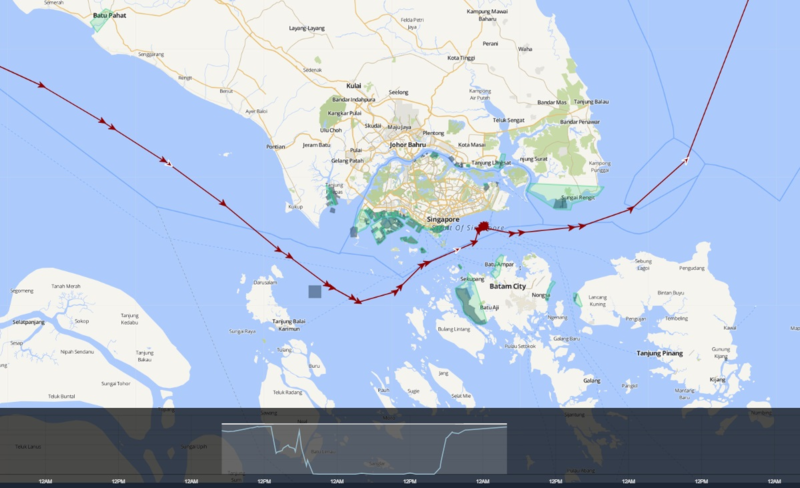 The C. Freedom was loaded with 2 million barrels at GOLA on Jan. 9 and was off the coast of Madagascar on Feb. 4 headed toward Asia. According to Stevenson, if the vessels did change their final destinations to China, the oil would arrive before the tariff talk deadline. Stevenson said while the shipments of oil are a promising sign China is starting to purchase U.S. products again, she noted it is not an all-out trade war victory for the U.S. For one thing, there aren’t any ships currently leaving U.S. ports bound to China, where they would arrive after the March negotiating deadline. Peter Mabson, CEO of the satellite maritime tracking service exactEarth, told CNBC that having vessels in route to a country with no trade agreement settled and a looming tariff deadline is too risky to plan ahead.